We learn a great deal from listening to our customers about their experiences with TomTag. It’s always interesting to find out about the different ways they use our products and wonderful to hear how it often makes such a real difference to their lives. We thought it might be helpful to share some of those experiences and ideas with you too so we’ve interviewed a number of our customers who have been kind enough to talk about their different stories and backgrounds with us. 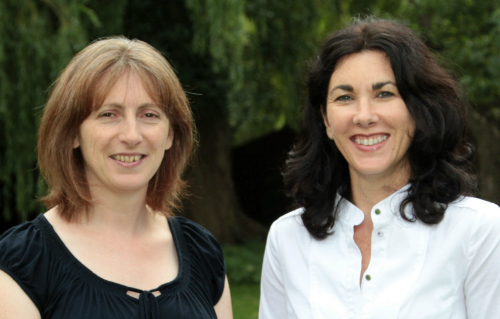 First up is Elizabeth, a childminder from London, and mum to two girls aged 4 and 12. Why did you purchase TomTag? I bought TomTag to use with my daughters as both girls are on the autistic spectrum. Although they are both verbal and relatively high functioning they still need some support with their daily life activities. I’d describe my youngest daughter as being in a permanent ‘fight or flight’ mode, always needing reassurance about what to expect during the day. 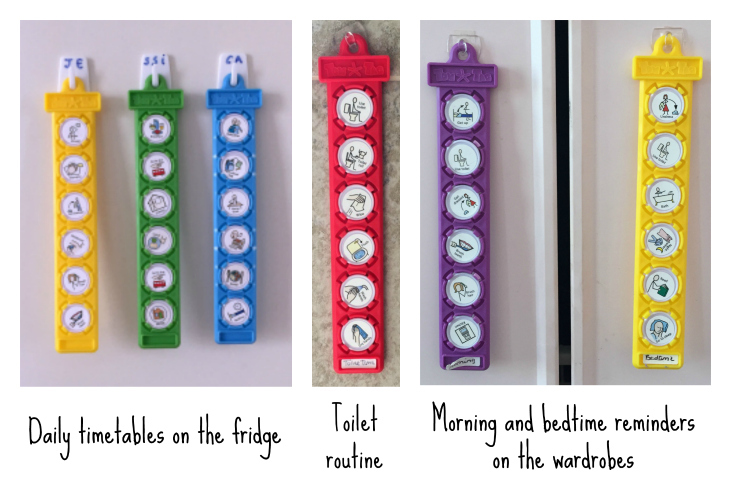 The eldest has executive functioning issues and needs support to help her sequence activities and with organisation. Did you use any other type of visual supports before you tried TomTag? I used to make my own picture timetables and sequences. It was very time consuming having to print off the pictures, laminate them and then attach them to Velcro. My youngest daughter really didn’t like the Velcro system so when I saw TomTag advertised in Aukids magazine I decided to give them a try. In lots of different ways! a toilet routine reminder hanging in the bathroom which is a simple picture sequence checklist to break the routine down into small steps. social story resources to help prepare for things like visits to the doctor and hairdresser. I explain what’s going to happen and the order of events whilst we look at the pictures together. How has TomTag helped your children? My little one finds TomTag very comforting. She feels in control of her day now and is less anxious about what is going to happen next. Seeing her routine in pictures also helps with teaching her sequences and time concepts. She loves the ‘hands on’ system – she particularly enjoys clicking the buttons in and out! My older daughter finds TomTag really helps with her organisational skills. She feels less anxious at school knowing she has all the right things with her. She also likes the ’hands on’ nature of TomTag and she’s now started taking responsibility for planning and organising her day. For example, when she started going to choir as an after school activity, she changed her tag by herself to show this change of routine. I’ve also found the tips and advice for teaching life skills on your website very helpful. Do you have any suggestions for how we could make TomTag even better? The range of images supplied in the various sticker packs is generally good. I have used the blank stickers to draw some personalised images – an umbrella, keys and phone charger. I think there could be some additional ‘days out’ type images e.g. summer fair, fun fair, adventure park or castle. Perhaps a jumbo version of the tags and buttons would be useful for children who have sight problems but I appreciate the product would not then be as portable! Overall I think TomTag is a wonderful product and it has really made life easier for both my daughters. Thank you Elizabeth for sharing your story and for giving us some insightful tips on how TomTag works in your home. Follow the highlighted links in the interview to find out more details about all the products used by Elizabeth and her family. All it takes is a short chat with us on the ‘phone, ideally send us a few pics of your TomTags in use then just leave the rest to us. It’s easy to get in touch with us, all the details are on our Contact Us page.